I take my kids to school each morning, but about three times a week I head to the gym before work. Immediately after my workout, I walk across the parking lot to Publix and grab a granny smith apple to eat on my way home. A few weeks ago while in the store I noticed a display of fruit out of the corner of my eye. It looked like a bunch of elderly grapefruits sitting around a nursing home. They were wrinkled and deflated. I don’t think Botox, Restylane and a Beverly Hills plastic surgeon could have made them look good. I remembered they were called Ugli fruit. The name fits the look, however these were called Uniq fruit. I snapped a picture, included in this blog, so you could see the fruit and sticker. It turns out the name Ugli is owned by the growers who came across this hybread orange, tangerine, grapefruit. 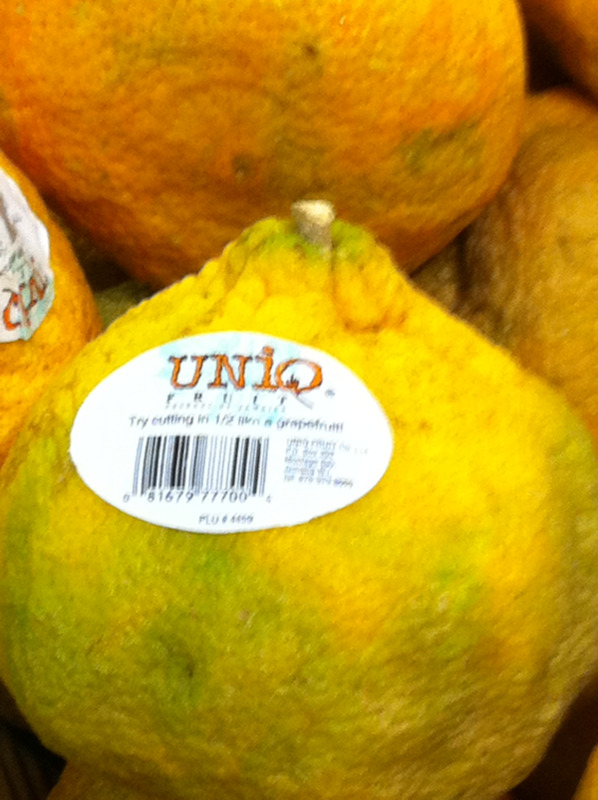 In the spirit of putting a better spin on it and increasing sales, it is now known as Uniq fruit. The part of me opposed to political correctness says, “Call it what it is. Ugly!” What? Are you scared the Ugli fruit is going to grow up and have mommy issues? The marketer in me is cheering these folks on. I can’t tell you how many times I’ve created and used responses to overcome common objections. Great selling requires being able to sell both sides. You must put the best spin on what you do. Let’s take a very simple marketing example that does not take my catering software to use. A catering prospect calls you up to order a drop-off for 25 guests. They need paper products (plate, napkin, fork, wet nap). You inform them it will only be fifty cents per guest. I literally could play this game of selling both sides of a selling situation all day long. Your mission now is to get with your staff and brainstorm all of the most common objections you encounter selling catering. Then spend some time developing responses. When done, use this as a training guide. Taking the time to do this will make the difference between your catering sales being Ugli or Uniq!